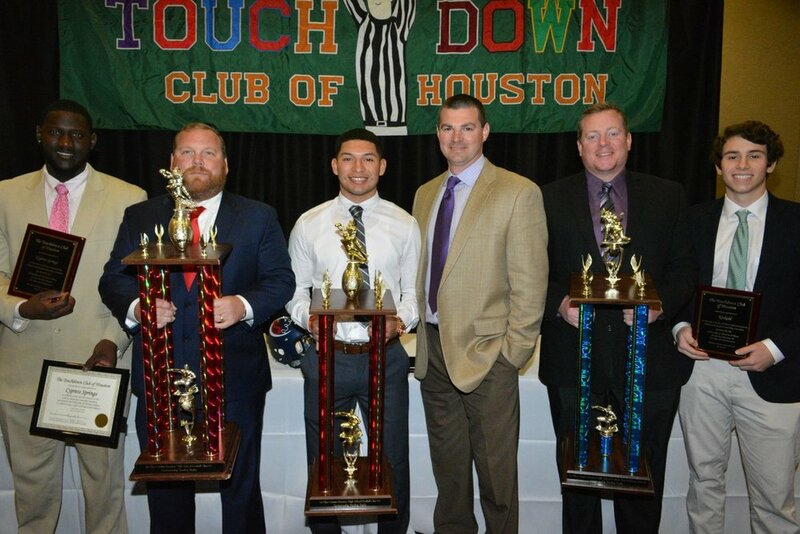 The Cy Springs football team won first place in the Class 6A division for the Houston Touchdown Club’s Sportsmanship award on Jan. 30 at TD Club's Comerica Bank Sportsmanship Luncheon. The voting was done by refs and officials. “It shows to everyone in the community we have good kids and are men of character,” said coach Rusty Rohan. Coming in second place was Tompkins and third place by Pasadena Memorial. “We want to continue having good sportsmanship and being representatives of Cy Springs, but also translating that to wins on the field” said Rohan.